That’s beautiful. Our culture has so few real traditions that it’s always amazing to find one that’s survived for years. You’re very lucky, you know. I almost envy you. There are a few, if you know where to look. If you’re ever in Michigan around Labor Day, you’ll have to join in some day. That’s an awesome tradition! So cool! Although I’d probably freak out as I don’t like heights and things that aren’t stable beneath my feet. Thanks for sharing. I got some great imagery out of this! Most of the time, the bridge doesn’t sway and doesn’t even shake even with all the traffic. It’s so stable and big that even my mom (who doesn’t like heights) has no problem with it. That’s what made that one year so memorable because it is the only year it ever swayed like that (the bridge authorities actually closed the walk early because of it. We were one of the few who got on the bridge and started walking before they closed the walk, so we got to finish). Well, if you’re ever in Michigan on Labor Day, it’s only $5 a person to ride the bus across the Mackinac Bridge to the U.P. and free to walk back. I’ve never really thought about giving my characters traditions. I’ll have to think on that more. Christmas traditions are always fun! 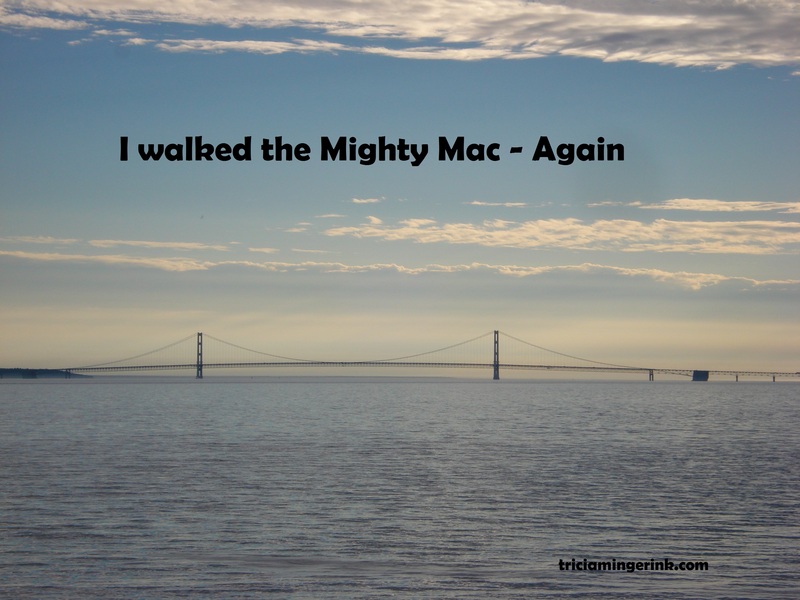 My family has a few, though none that have lasted as long as our Mackinac Bridge walk.